Rather be a spice box or kumkum container (kumkum is a red turmeric powder used for making the distinctive Hindu mark on the forehead). 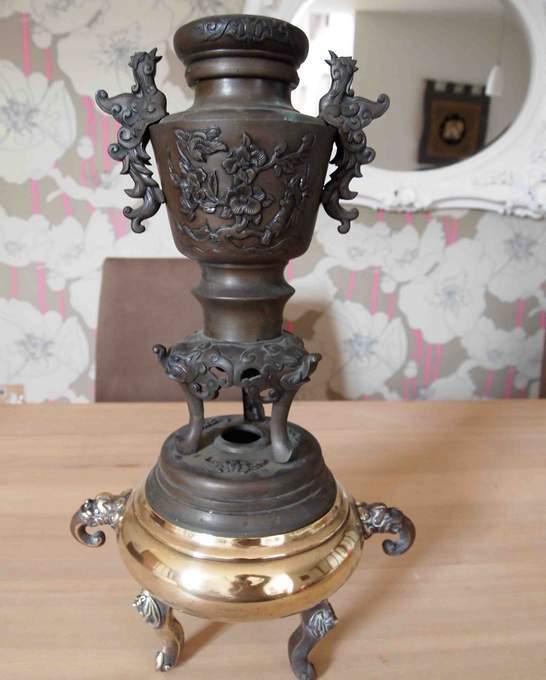 Description: Burner bought in Bombay, India, in 1959. 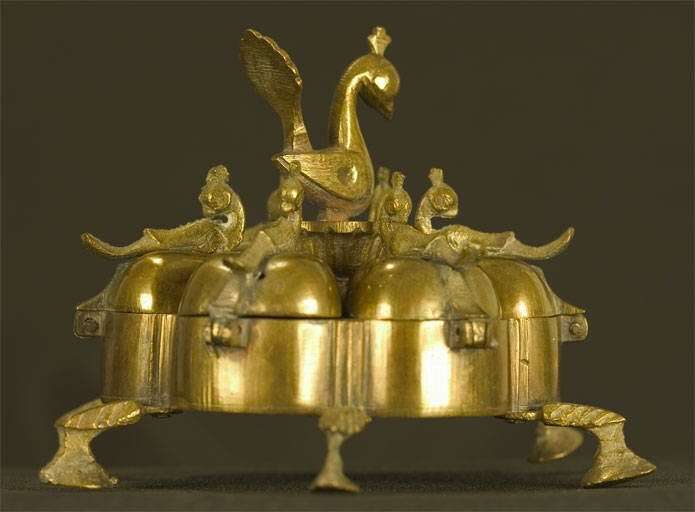 It is made of brass, weighs 560g, stands about 8cm high and and is about 12.5cm across. 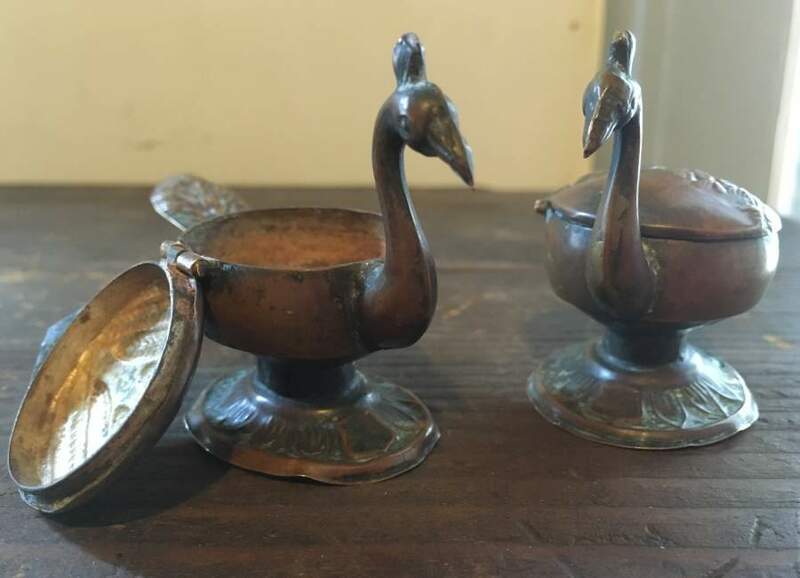 Each of the five boxes has the shape which I believe to be a stylised form of the mango, rather like a droplet of water with a curl to the tail, and is topped by a stylised peacock-shaped handle. The five feet are also peacocks. The central carrying handle unscrews for easier cleaning, but does not fasten the lids of the boxes as in the case of item #220. 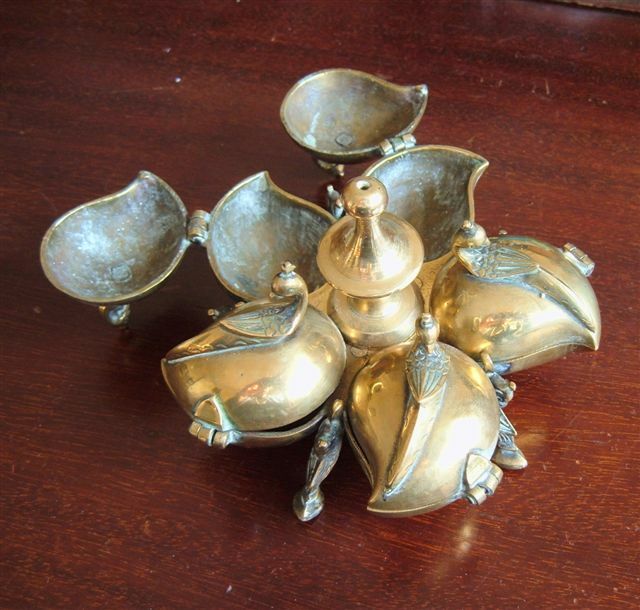 Description: This object is shaped like a flower; each petal is hinged to the bottom of the container with a small peacock on top used as a handle. 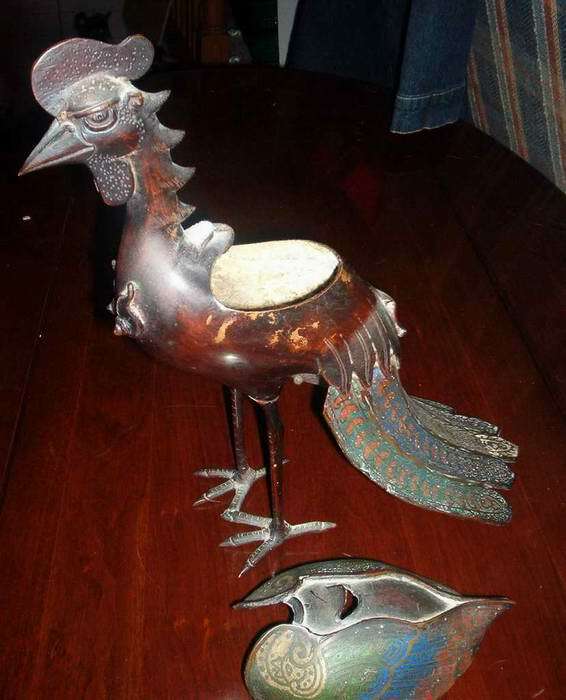 There is a larger peacock on top of the container that can be removed, so that each petal can open up to reveal small storage compartments. Peacocks have particular significance in Hinduism because they are often depicted alongside the Goddess Saraswati. 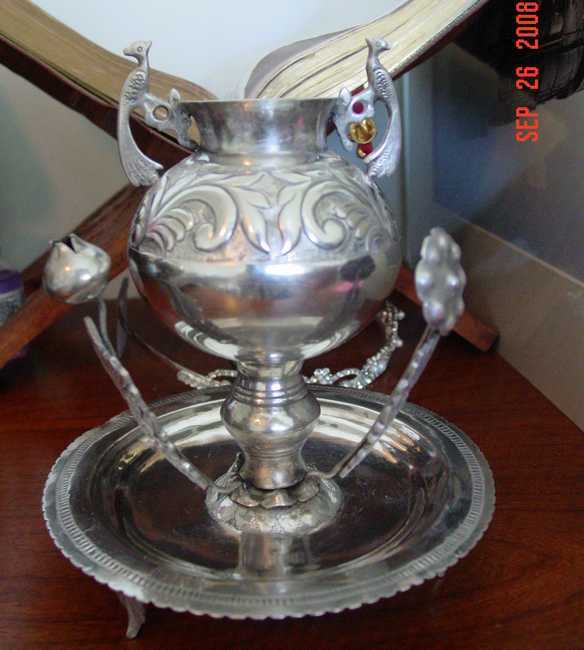 Description: Silver incense burner with peacock handles. Description: The burner measures 19 inches in height, detaches in 3 parts and weighs 10.2lbs/4.6kg. 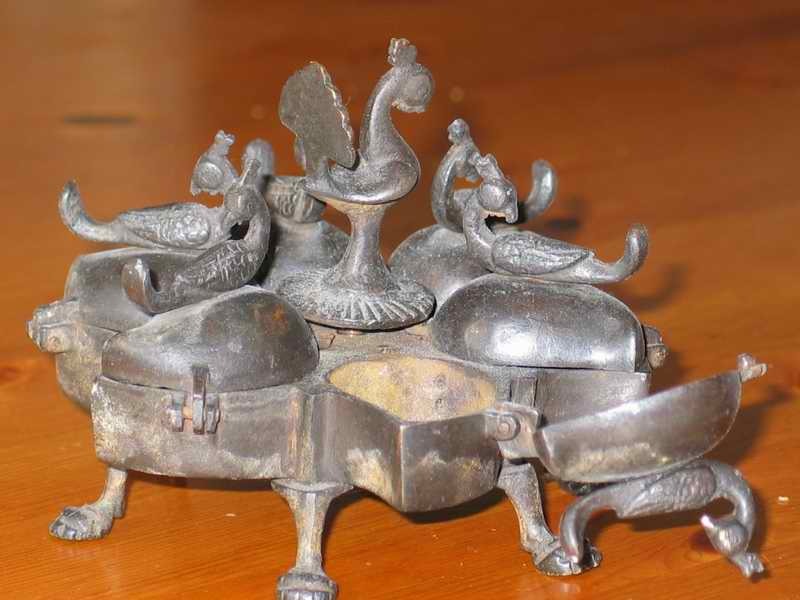 The burner is decorated in florals, birds with peacock/phoenix like handles, the lower half is carved with bats and other animal features. The lower tripod section of the burner has been cleaned. 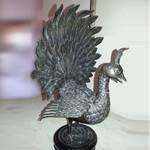 Description: The significance of peacock is attached to cultures of India, Far East, Ancient Persia, Greek and Christian. 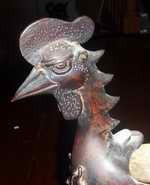 In Hinduism, the image of the god of thunder, rains and war, Indra, was depicted in the form of a peacock. Peacock is the national bird of India since 1963. 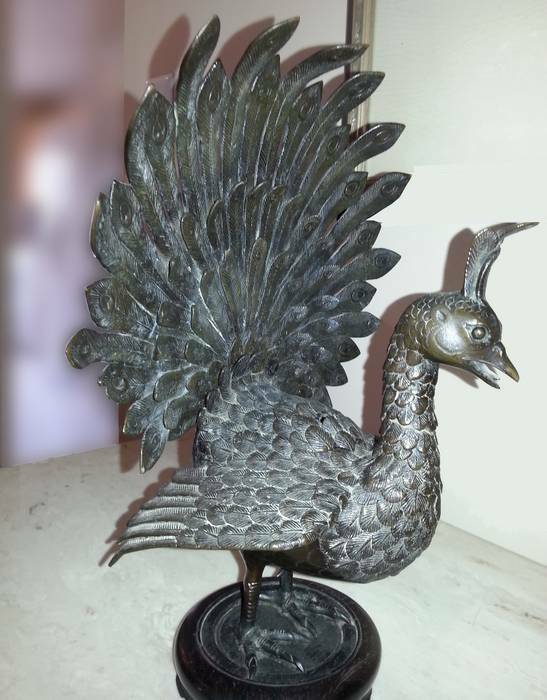 Description: These items are hand crafted, 4" x 2 1/4". They are very light weight.